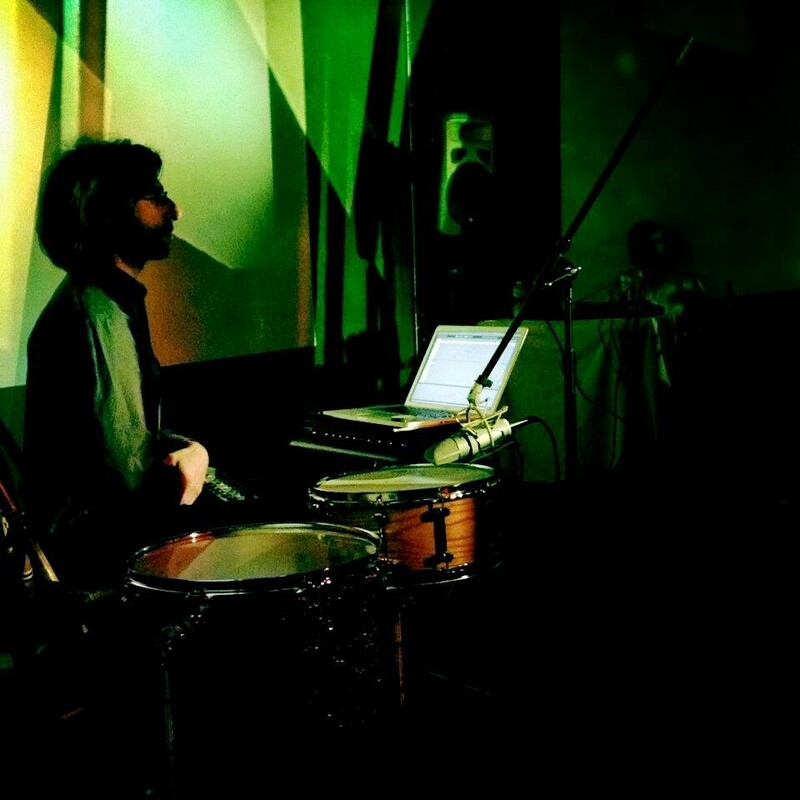 Renowned drummer Brian Chase (Yeah Yeah Yeahs, John Zorn + NYC’s experimental scene) releases Drums and Drones: Decade, a tripe album and book. Drums and Drones: Decade chronicles the project’s first ten years of existence as depicted through sound, image, and text. The three albums capture the project’s focus on sonic subtleties and meditative listening; the images reflect the project's collaborations with two leading NYC video artists; the text features in-depth commentary on the project’s story - personal, conceptual, and technical. An essay on Just Intonation, the tuning system that is the basis of these compositions, is included as well. Drums and Drones is inspired by La Monte Young and Marian Zazeela’s legendary Dream House installation, and aims to apply principles of ‘deep listening’ to drums and percussion. Drums and Drones began in 2007 at John Zorn's venue The Stone and had its debut album release in 2013. Since then, there have been numerous performance notably those at X Avant Festival (Toronto), the 24 Hour Drone Festival at Basilica (Hudson, NY), New Ear Festival (Fridman Gallery, NYC). The images are culled from collaborations with two leading NYC video artists who have been an integral part of Drums and Drones performance. The text is largely based on extensive liner notes to the three albums which describe the personal, conceptual, and technical story of Drums and Drones; an essay on Just Intonation, the tuning theory which is the basis for all compositions here, is included as well. 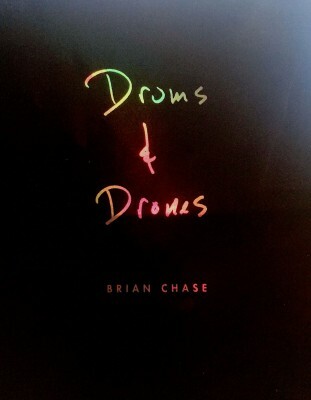 The release consists of a 5”x7” 144 page book containing three compact discs inserted at the back of the book with the albums Drums and Drones I (2013), Drums and Drones II: Ataraxia (2015), and the brand new Drums and Drones III: Acoustic (2017). Extensive liner notes for each album detailing the story and process for the making of the music are included, as well as a series of video stills by NYC artists Ursula Scherrer and Erik Zajaceskowski taken from early Drums and Drones videos. 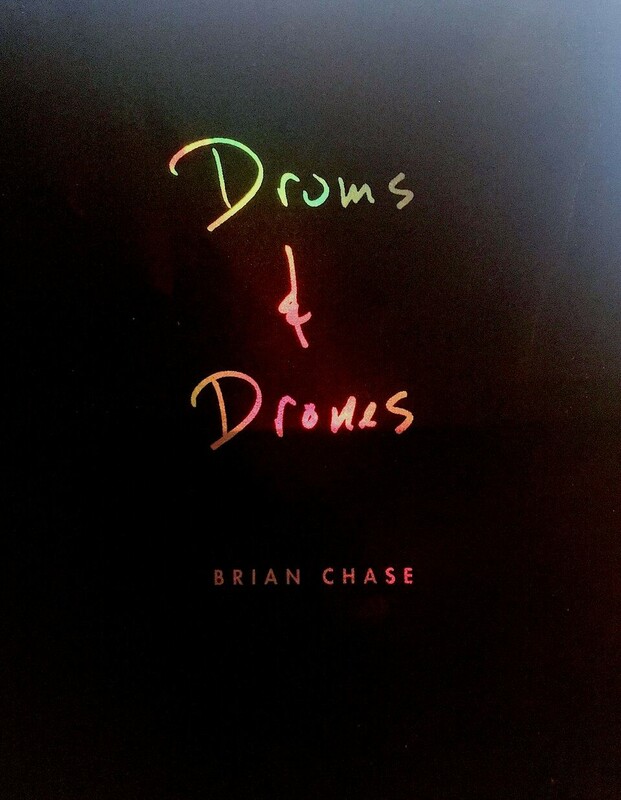 Additionally, many photos from live performances, recording sessions, and personal archives are featured, as well a personal notes and reflections on the Drums and Drones project from Chase himself.